Voisine said the bills were given to her by a friend. BANGOR, Maine — Tiffany Voisine was arrested by Bangor Police Department for Aggravated Forgery. She made her first court appearance on Tuesday afternoon. Voisine attempted to pay for items at Leadbetter's convenience store in Bangor with two fake $100 dollar bills back in March. 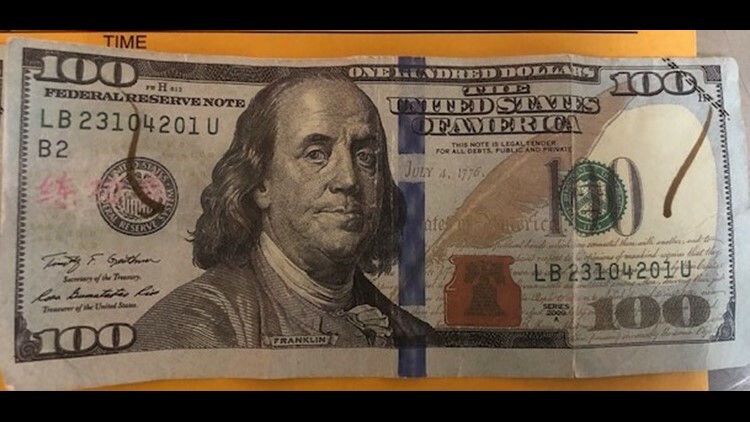 She also told police she knows fake money is being printed and circulated in Bangor and Brewer. She is expected to be released under personal recognizance.